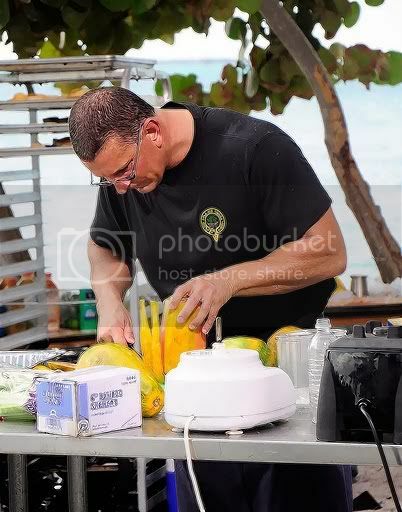 For this mission Chef Robert Irvine heads to colorful Key West, Florida to take on a boatload of pirates. 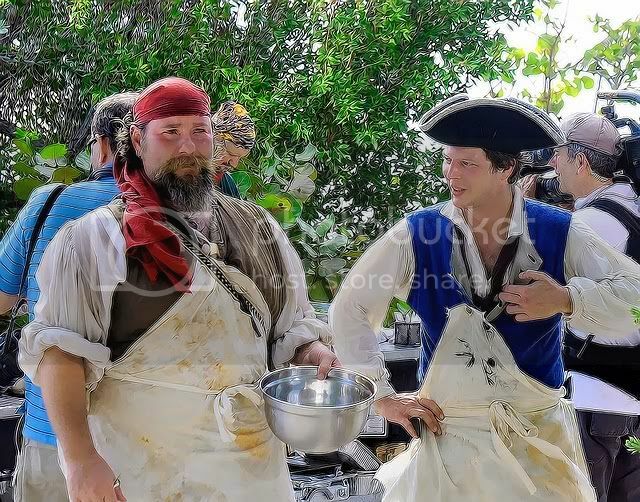 At part of the annual Pirates in Paradise Festival, Robert I has 9 hours to feed 150 pirates. 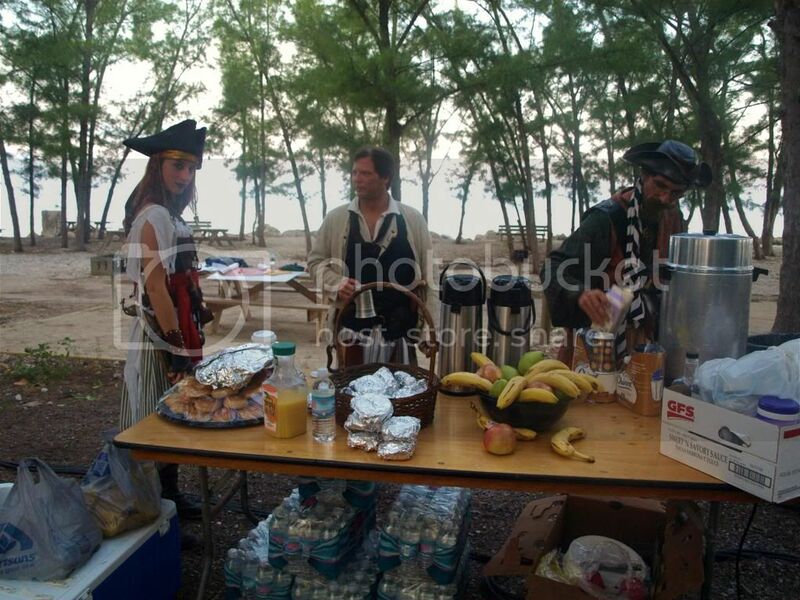 The folks at Pirate Fest immerse themselves in total pirate lore and expect Robert to do the same. Robert is met by a peg-legged, parrot-toting, Captain Stitch, and is given orders to cook in true pirate fashion. 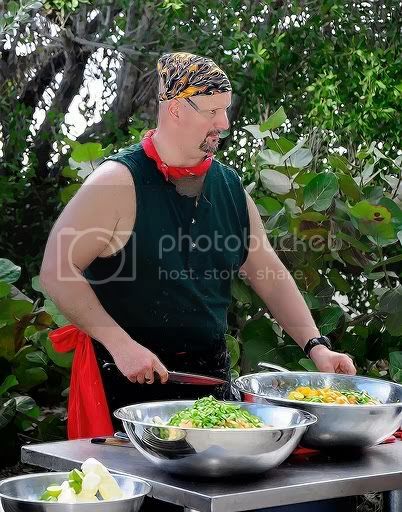 Like any cook on the high seas, Robert has to concoct authentic pirate fare including bone soup, hardtack, sea turtle, pickled preserves and dishes to ward off scurvy. you like that? some say tis me best side!! Well I had to put my glasses on to see exactly what it was, then I had to quick take em off before I got violently ill... but...yeah... I like it. 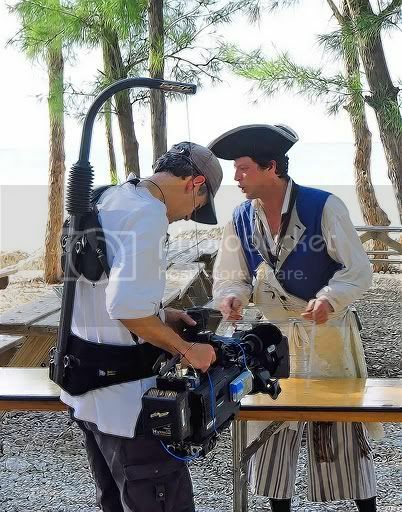 I want to see what they did with the footage they got but even better I still want to see what footage was edited out ...will you be getting a bootleg DVD of the out takes? Don't watch the show, but I'll make an exception this time. I am curious as to what went on. Marking it on the calendar. i wont say you'll learn anything....except maybe how NOT to eat a Conch!! hhmmmmm credibility???? one word- COUSIN ROBBIE, yes thats one word. i dont know if i would go that far....we werent privy to the editting...hard tellin how we will appear!?!? Edward and MadDogge's audition tape. 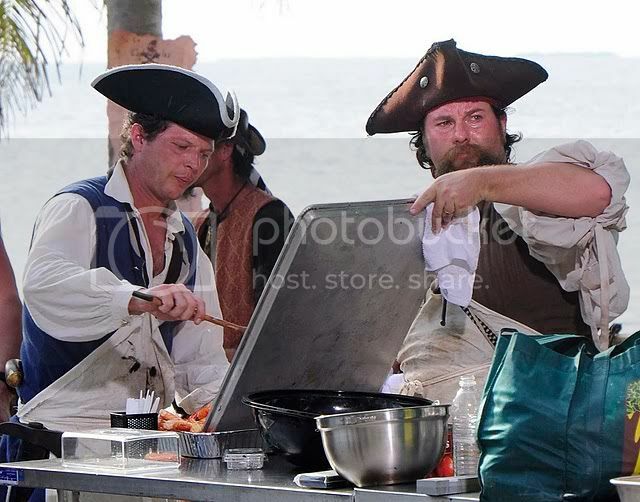 and we appreciate that but when it comes down to it, I think it should be a barrel of laughs..even the Chef is pleased with the episode and said he had a great time doing this particular show. Interests:I'm envolved in RevWar and Pyratical Reenacting.Own my own boat, tho she be a small sail of 21'. Sailed the Lady Washington,The Swift,and Royalist.Currently I Captain the "Lost Souls of the Iron Brigade", I'm a minstrel, songwriter,Captain,sailor,and excellent gunner. Likes me Rum. Well done everyone...even the Far Better Half was laughing out loud at the right time.